67 million tickets are sold for spectator sports in the UK each year. This represents a huge opportunity for charities to involve the crowd in fundraising, much like charities at the London Marathon do. Crowd initiatives will create positive sentiments towards the sports club and improve the fan’s experience. It would also be a lot simpler than running 26.2 miles around London! Significant benefits: the majority of charities who receive most of their funding from members of the public (rather than government funding), get in excess of 60% of their income from donations of £10 or less. Behavioural psychologists such as Carl Jung, Myers and Briggs have developed the idea that different personalities react well to different messaging. A personality type with values linked to authenticity, community, ethics and morality has been proven to react better to more charitable messages. For sports clubs, this personality type could form up to 30% of their customer base so promoting charitable causes would increase ticket sales amongst this group. Ethical Goods, a company that matches charities with businesses, produced a 400% uplift in sales for Harrogate Spa at the same time as raising over £1.6m+ for Pump Aid through a simple partnership promotion. Charities are masters of managing databases to build support. Their relationships need to last a lifetime. For example, a supporter acquired through an event or direct debit relationship may go on to leave a legacy and learning those trends over many years is vital to a charities success. Consequently charities have an engaged audience who will react well to sensibly targeted marketing coming from the charity. If a charity can promote tickets for the club and in turn raise more money then this seems like a fair exchange. The key to all these ideas is that the team, players or fans need to be involved in the fundraising process. Players are sponsored by fans and their team mates (perhaps a week’s wages) to wear a pink shirt during the match in support for Breast Cancer Care or Cancer Research. 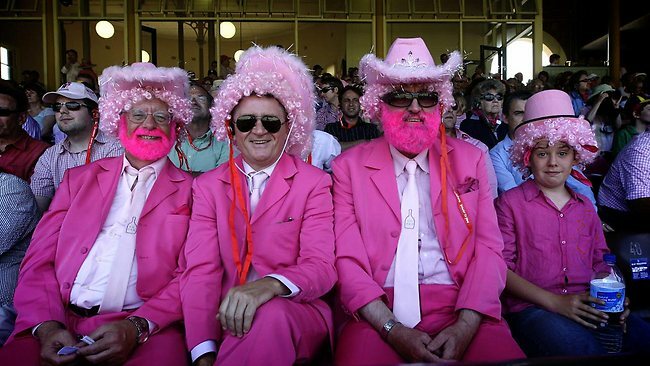 Fans, in the same way as being sponsored for a marathon, are sponsored by their friends and family to attend the match dressed head to toe in pink. Both players and fans would set up fundraising pages and it would certainly create a buzz around the home team’s city as well as some fantastic photo opps. On purchasing the ticket a fan can donate £5 to a charity. This amount will be matched by the club if the team wins. Season ticket holders donate £1 for every goal scored that season. This is matched by the club for each ticket holder. Most sold out participant events reserve entries for charities, after a certain point it is only possible to enter if you commit to raising money for charity. In the same way, for the final 1,000 tickets, a club could add a £10 donation to each ticket. Scepticism often surrounds the good work that clubs and players do for charitable causes, mainly due to the size of player wages. Sometimes this is justified but often not. There are multiple cases of clubs working in the community – there were 39,658 football player visits to charitable schemes in the 2013-14 season alone. Involving the crowd goes a step further and would provide many commercial and PR benefits to both the clubs and associated charities. If you've read this far, it's only fair to share! Email Archie if you would like to work together on a blog idea or if you have any sports industry thoughts.